Due to sudden and unforeseen circumstances beyond my control, I will not be teaching/blogging the “Jacob” study after all. I’m sorry for any inconvenience this may have caused. Wednesday will mark the end of our “Through the Bible in 2014” readings and lessons. It’s been a great study, and I hope you have learned from it and enjoyed it as much as I have. So, because next Sunday will be the first Sunday of the new year, on the 4th we will start a new curriculum. For the next few months, we will be using my book, Jacob: Journaling the Journey, to study the life of Jacob in the book of Genesis. If you’re familiar with the book, you know that it is divided into 77 short lessons. It begins with Scripture, followed by expository teaching, followed by questions for the reader to consider as she journals what she has learned from the lesson. In class, I anticipate that we will cover about 2-3 lessons per week, using the quesions at the end of each lesson for discussion. If you physically attend my Sunday school class, there is no need for you to purchase the book since we will be verbally covering nearly everything in it. However, you may purchase it if you’d like to study ahead. If you would like a copy but cannot afford one, let me know, and I’ll make sure you get one. If you do not physically attend my class but like to follow my Sunday school lessons here on the blog, you will need to purchase a copy of the book (click on the “books” tab at the top of this page- the e-book version is on sale dirt cheap right now! ), and study it on your own. Generally speaking, we will be following the “3 lessons per week” schedule found at the beginning of the book. I will not be posting the text of the lesson since it can be found in the book. Each week’s Sunday school lesson post will be more like an on line discussion/Q&A session for that week’s lessons from the book. I welcome your comments, questions, and input. Today, we’re going to be reading through the book of 1 John, and pausing to discuss comments and questions from the class as they arise. We will start at chapter 1 and see how far we can get before the bell rings. It is chock full of good stuff, so I encourage you to read 1 John in its entirety when you are at leisure to read and savor it slowly. First John is not written to lost people for the purpose of sharing the gospel with them. First John is written to Believers to assure them of their salvation and eternal life. We have all had moments when we wondered if we were really saved or not. 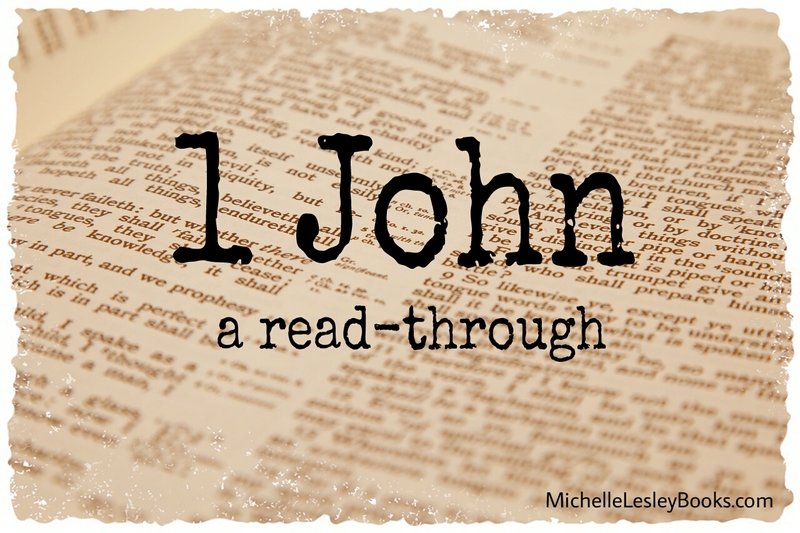 The book of 1 John gives us a sort of measuring stick to compare our walk with Christ to. We will particularly see this in the first couple of chapters. As you read through the book of 1 John, what jumps out at you? What questions arise as you read? Comment below and let’s chat.